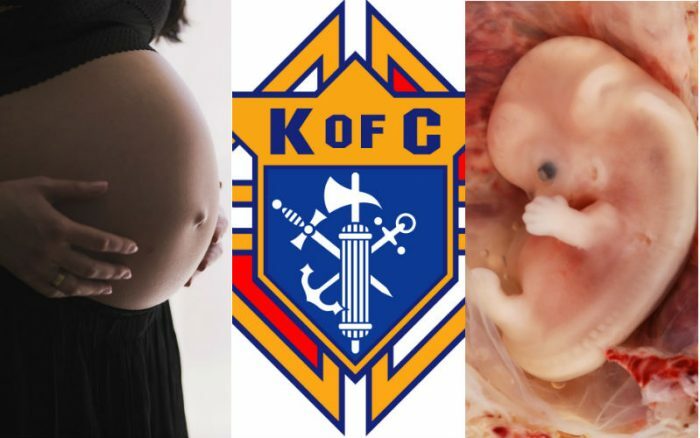 Like other Catholic organizations, the Knights of Columbus defends life in its various stages from conception to natural death. 1) The Knights of Columbus was founded to care for widows and orphans. The needs of suffering immigrants and families inspired Father Michael J. McGivney to establish the Knights as a fraternal benefit society and this mission remains to this day. 2) The Knights stand against violent racial and religious discrimination. At the peak of the Ku Klux Klan’s popularity, the Knights opposed them and other forms of discrimination. The Knights also aided Mexican Catholics persecuted by their government in the 1920s. 3) The Knights have helped plan every March for Life in Washington since the first in 1974. Thanks to countless hours of volunteer work, local Knights councils also sponsor their own local marches from San Francisco to Ottawa to the Philippines. 4) Knights sponsor a poll showing most Americans want restrictions on abortion. Done each year for more than a decade, this poll points out that 3 in 4 Americans want significant restrictions on abortion. 5) Knights have donated over 1,000 ultrasound machines since 2009. These ultrasound machines help mothers to better understand and bond with the life within them. If every Knights-donated machine prompts four moms per week to keep their babies, over 1 million lives have been spared. 6) Knights have collaborated with Special Olympics since its founding in 1968. The Knights have embraced the organization, whose athletes demonstrate that all human lives have value. 7) Knights defend persecuted Christians throughout the world. The Knights efforts since 2014 to aid persecuted religious minorities in the Middle East culminated in November with the signing by President Trump of a humanitarian aid package from the U.S. government. Click here to learn more about how Knights defend life. 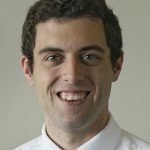 Andy Fowler is a reporter for the Knights of Columbus in New Haven, Conn. A former writer for Morning Joe on MSNBC, he was a researcher for the 2016 film Hillary’s America: The Secret History of the Democratic Party. He is a graduate of the University of Connecticut and is an aspiring filmmaker.